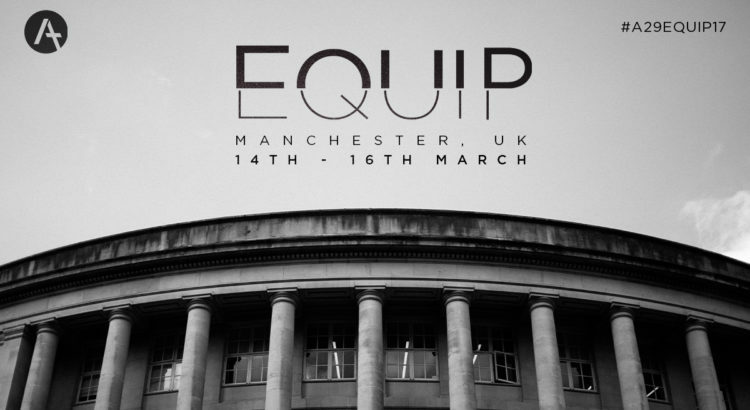 This week I have been blessed to be able to attend the Acts 29: Equip 2017 conference in Manchester, UK. Acts 29 is a reformed, evangelical and missional church planting network committed to churches that plant churches in Europe and into the 10-40 window. You can find out more at Acts29.com. Here are my notes from the main plenary sessions given by Ray Evans at the conference. We are usually quite aware of the first two threats, but the third threat often surprises us. In Acts, the needs of the Hebrew widows is unexpected, comes out of nowhere and threatens to derail the church in its infancy. The growth of the church brings grumbles: problems caused by people of different ethnic backgrounds with genuine needs coming together under the Gospel yet disagreeing quite severely. We must not misdiagnose these sorts of issues. For the church in Acts 6, the temptation would be to think that this is internal opposition (wilful and deliberate sin). Instead, it was a genuine need that locked godly wisdom applied to it. The leaders of the church thought about the issue and decided to develop structures that would a) maintain the priority of word and prayer ministry while b) not neglecting or overlooking the issues at hand. First, they established the priorities of word and prayer over (but not excluding) acts of service. Their priorities are word and deed, but with that priority order. The word ministry needs to prosper as the deed ministry is carried out. Once the priorities had been established, they didn’t just stick to their ministry. Some problems don’t go away, no matter how hard you pray or how hard you preach. They took the initiative and implemented a plan based on the priorities they had established. to empower the church to take ownership of their own needs by appointing men to sort out the issue. while maintaining key constraints and requirements of godly character for the leaders they appoint. The established priorities and simple plan of action resulted in a team being formed, empowered (by laying on of hands) and the church built up, even numerically. This account is not prescriptive but highly descriptive: it describes what the church leaders did and, more significantly, why they did it. C: Clarify the team’s mission: We’re part of a team to lead and draw people closer to Jesus. A: Agree together how the mission, task or issue is going to be fulfilled (SMART). R: Review your progress (and be honest). E: Equip people to build them up. We think of church size in three groups: small, medium and large. Yet there is a fourth category: awkward. When a church grows from 50 to 100, it feels great. When a church grows from 100 to 200, it feels awkward. People start to lose something, such as identity in the church, personal contact with the minister, position of authority/influence, etc. A helpful dynamic is Dunbar’s number: 150. This is based on the idea that there is a maximum number of meaningful relationships that a person can maintain. We need to recognise that this is the point at which size becomes awkward. Just as there are stages of human change over time, so there are stages of church change over time. Young: full of potential yet lacking in maturity. Teenage: full of energy yet lacking in wisdom. Mature: established with momentum yet at the top of the bell-curve. The top of the bell-curve is the point at which new Gospel initiatives need to be started… yet it is the point where people are most content and happy to continue ‘as is’. A church reaching 60 people on the way up the growth side of the bell-curve is different from a church reaching 60 on the way down the decline side of the bell-curve. Track athlete: single person, being cheered on from the sidelines. Gold buddies: two or three people who informally work together and share close relationships together. Basketball team: a coach who oversees a number of vocational Gospel ministers. Grid-iron coach: one coach among many managing multiple tiers of leadership over hundreds, even thousands of people. Developing leaders should be an intentional process where we look for and seek to bring on different kinds of leaders. There are different directions of our leadership: those who follow, peers, those who we submit to… and ourselves. The hardest person to lead (to grow, develop) is yourself. Recharge: rest, recovery and space. Intimate: meaningful time with family. Social: time with people without an agenda. Tasks: the work we have to do in our ministry. Focus: most effective time doing the things that matter most in our ministry. Reverse: repentance and confession when we have done wrong. We need to make sure that we are spending appropriate time in each of these modes, and be ready to engage in Reverse as and when it is needed. In Acts, Paul and Barnabas have a sharp disagreement. The disagreement was not one of Gospel clarity but one of wisdom: whether or not to take Mark. Sometimes there is conflict and great difficulty, even for the most accomplished leaders. The danger is when we have two of these characteristics but lack the remaining one. Humble and motivated but not emotionally smart: Accidental mess-maker. Motivated and emotionally smart but not humble: Dangerous politician. Humble and emotionally smart but not motivated: Loveable slacker. Creative: lots of ideas but quite perfectionist. Connector: highly relational and good at linking people up. Guardian: protecting and restricting what is unhelpful but not encouraging that which is good. Pioneer: eager to get on with what we need to do. Nurturer: eager to show people that we care. The key question is, what are we unconsciously incompetent at? When we recognise this, we will be prepared to bend our dominant voice in order to accommodate those who are strong in the area that we are weakest at. This must be done under the sound of the whole of Scripture, which possesses all these voices and keeps them in perfect balance. In Acts 15:36-41, Paul seems to be a pioneer yet Barnabas is a nurturer… and neither give way to the other. However, by the time we get to Acts 16:10 there is a leadership team made up of different people (including Timothy and Luke), and the Gospel is taken into Europe. Prophet: connects people with the word of God by proclaiming it. Priest: connects people with the love of God by demonstrating it. King: connects the work of the prophet with the wok of the priest by practically supporting and directing them. Leaders need to lead a vision for mission. Yet vision in the church is not a vision of what we might be or what we could do… but of what already is. Our vision is God: what he has done in Christ, who we are in him and what he has called us to do. The danger comes in churches who want a vision of what we should be doing. When this happens, our vision stops being about God; who he is and what he has done… to who we are or what we should be doing. So our vision should be centred on God, and only then leads on to our mission. Who God is and what he has done in Christ leads on to what we should be doing in our particular place. In Luke’s gospel, Luke has given us the vision of who God is in Christ and what he has done in his death, resurrection and ascension. In Acts, Luke takes this vision and describes how it worked out in the church’s mission. Only God and the work of the Spirit is truly able to lead and guide the church in the outworking of its mission. This prompts us to depend on and look for the prompts of the Spirit. The pleading of the Macedonian man indicates the need for the Gospel in that place. This prompts us to pray, for we cannot bring change in sinners hearts, only God can. We have nothing to offer needy people other than Jesus and his Gospel. This prompts us to speak the Gospel and to commend it with our lives. Paul and his companions reason that God was calling them to preach the Gospel in Macedonia. This prompts us to be ready to go to lost people and engage in lost communities. Lydia had begun to draw closer to God. Paul finishes off this process by sharing the Gospel and the LORD opened her heart. The tactic was ‘invite to hear and believe’, and this depended on lots of instances (that we aren’t given in Acts) of others helping Lydia to draw closer. The slave girl is released from the evil spirit at the cost of a beating to Paul and Silas (and others). The tactic was ‘costly care and enduring service’. The jailer witnesses and experiences an event that alters his life and worldview, prompting him to ask ‘how can I be saved?’ The tactic was ‘demonstrate and explain’, giving a visible demonstration of the life-changing influence of the Gospel and being ready to explain why we live this way.